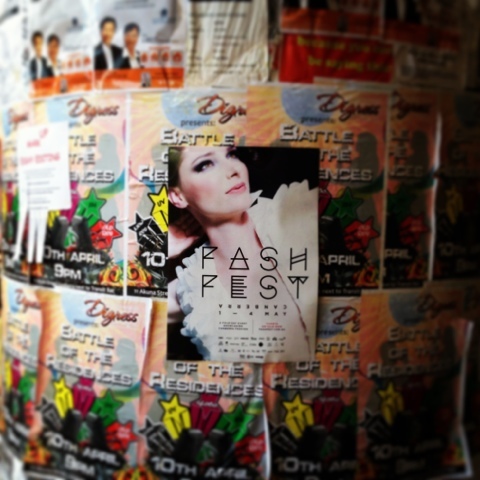 For some time now there has been a steady social media buzz regarding Fashfest. Initially shrouded in mystery, the marketing push is now in full swing with anticipation and excitement ever building. If you are a Canberran and you haven’t heard of Fashfest by now then you must have been hiding under a rock in Queanbeyan as this event has been pushed by local television, social media, posters, street flags and more! Never has Canberra experienced such a massive fashion event and it’s an exciting time not only for those in the industry but also the regular fashion connoisseur. Fashfest is a 4 night fashion show case of extraordinary proportions. Over 30 local designers, 4 nights, 4 different shows, 32 event partners, over 400 guests each night and over 50 local models! I don’t know about you guys but I’m a tad excited. Founded by Clint Hutchinson, Managing Director of Zoo Advertising and his wife Andrea Hutchinson, a former international model, Fashfest’s primary focus is on celebrating Canberra fashion and Canberra talent, and a perfect fit for celebrating the Centenary in style (FASHFEST is an official Centenary event). What I really love about this event is that everyone involved has strong ties to Canberra which will make for a truly unique and personal experience, not just a fabulous fashion showcase. Even the face of this event is Canberra local and international supermodel Anneliese Seubert. Anneliese has appeared in the world’s top fashion magazines including Italian, German, British and Australian editions of Vogue as well as international editions of Marie Claire, Harper’s Bazaar and Glamour. She has worked with the likes of Christian Dior, Giorgio Armani, Calvin Klein. It’s often not highlighted what amazing people we have living in our nations capital. 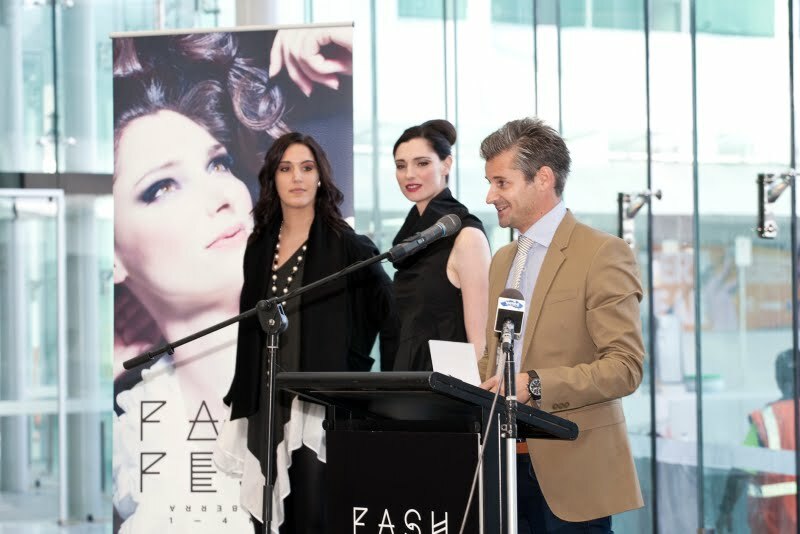 An photo from the Fashfest media launch. A very powerful image with Canberra’s trademark blue skies in the background. The venue for the event will be at No. 3 Molonglo Drive, Brindabella Park. Where the hell is that you say? It’s a is a partially completed 5 star office accommodation just outside the airport. It’s industrial, minimalistic, mature and spacious, the perfect setting to compliment such a fashion feast. Here is a sneak peek at what’s in store! Unfortunately for me and my depressing work/study schedule I am unable to be involved in the full festival as it clashes head on with prior commitments. Having said that this is a “cannot miss” event, especially for Canberra’s exponentially expanding fashion industry so I will be attending on the very last night (Saturday) with my trusty camera in tow and hope to get some great shot of the night – stay tuned! Tickets are selling FAST. Make sure you grab your tickets now, the countdown has officially begun! !